조선 세조 때의 명신인 장말손(1431∼1486)의 것으로 패도(佩刀)와 적개공신회맹록이다. 패도는 세조 12년(1466)에 함경도 회령에서 오랑캐를 물리친 공으로 왕으로부터 옥적(옥피리) 1정(丁)과 은배(은잔) 1쌍과 함께 하사받은 것이다. 적개공신회맹록은 세조 13년(1447)에 이시애의 난을 평정한 공으로 적개공신에 임명되어 예종 원년(1469) 3월에 내린 회맹록이다. 특히 이시애의 난을 평정하는데 참가한 인물들을 파악하는데 매우 귀중한 자료이다. Jang Mal-son (1431-1486) was a civil official during the reign of King Sejo of the Joseon Dynasty. In 1466 (12th year of King Sejo’s reign), the king bestowed this dagger along with a jade flute and a pair of silver cups in recognition of Jang’s achievement in defeating barbarians in the Hoeryeong area of Hamgyeong-do Province. 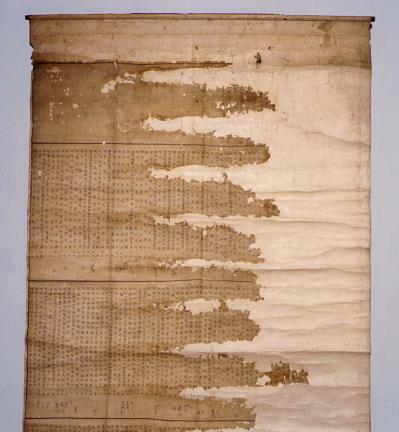 The scroll is a list of meritorious subjects who contributed to subduing Yi Si-ae’s Rebellion in 1467 (third year of King Sejo’s reign). 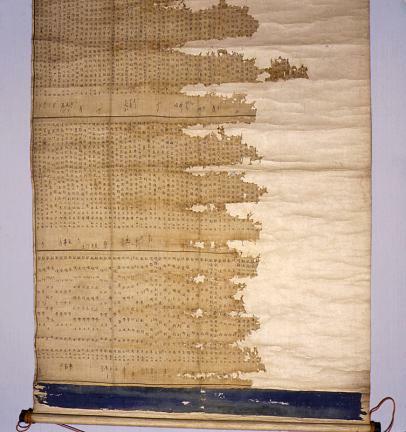 This list, together with a royal edict, was issued in 1469 (first year of King Yejong’s reign), offering valuable information on the people who participated in the battle to suppress the rebellion.